I’m going to be apart of a sweet event addressing the issue of teen depression and suicide through art and music this Saturday. Find out more at collectivesj.com. We will be hosting the great organization To Write Love on Her Arms. Caffeinated beverages will be whipped up by Devout Coffee. Music by Before the Brave and Steven McMorran of Satellite. Really proud to be apart of such an awesome event. 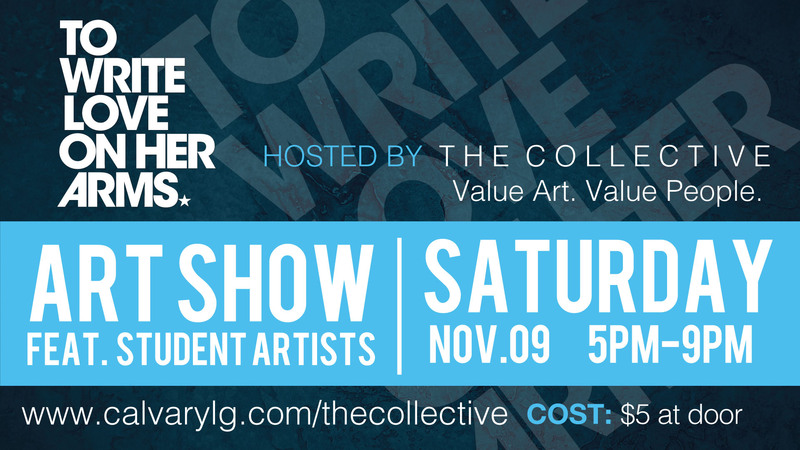 We’re getting ready for our second Collective Art Show coming up in a week and a half! This November we’re aiming to speak hope and truth into the reality of depression and suicide that has invaded the schools and circles of our community. Many of us, unfortunately, have experiences with this, whether it be a personal struggle or the struggle of someone close to us. On November 9th, we will be transforming a space in Downtown San Jose into an art gallery with live music from our returning favorites, Before the Brave, and Steven McMorran of Satellite. Our visual artists are local students from high schools and colleges in the Bay Area.